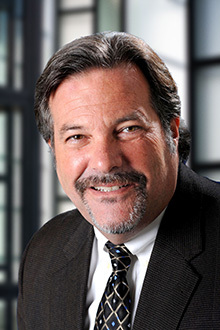 Michael Platner is the managing partner of the Fort Lauderdale office of Lewis Brisbois. Mr. Platner is the chair of the Corporate Practice and co-chair of the Securities & Corporate Finance Practice. Michael works with clients to develop and execute business savvy legal strategies for businesses from early stage through maturity and sale or merger, with a view towards maximizing benefit to their owners and investors. As an experienced corporate and finance “deals” lawyer and strategist, often Michael acts as primary outside counsel to middle market companies owned by private individuals, investment and private equity firms and public companies. He manages litigation matters strategically with the client’s ultimate business goals in mind to achieve the best financial impacts and business solutions. His practice is focused on helping companies and their owners build value and manage risk. Michael has personally founded or been an early stage investor in several businesses, particularly in software, internet infrastructure, new media and cloud computing, providing significant additional understanding important to entrepreneurs and venture capital investors. Michael speaks nationally and abroad on applying merger and acquisition and partnering strategies to create value and liquidity and reduce or eliminate conflict. Michael’s specific industry experience includes software, e-business, manufacturing, restaurant and hotel management and operating agreements, computer systems acquisition, internet strategies, including deals involving collocation, hosting, API licensing, trademark, copyright and URL disputes, terms of service and abuse, hospitality, joint venture and other corporate finance structuring, new ventures and emerging companies and other strategic business consulting, insurance, funeral homes and cemeteries, litigation and risk mitigation strategies, mediation and alternative dispute resolution. He has negotiated and closed several hundred transactions including partnerships, business sales and acquisitions, and corporate finance in technology, distribution, manufacturing, and real estate development. Past Member, Canadian American Business Alliance of South Florida, Inc.